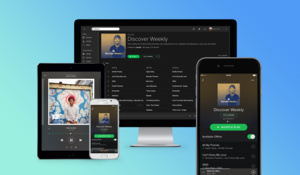 Spotify and Apple became direct competitors in June 2015 when the world's largest company decided to up their game in terms of music services. Spotify was, and is still, the leader in streaming music, and Apple was the king of the previous music revolution. Now it seems that Spotify has been struck with a slight nuisance as Apple has removed the support for Spotify in their web browser. Spotify's web player no longer works on Safari, MacRumors has noted. However, even though it sounds like an extension of the scuffle they are currently having in the music space, it is likely not related to the competition in the least. See, Apple's browser doesn't support a plugin called Widevine, which is required by Spotify. Google Chrome, Mozilla Firefox, and Microsoft Edge on the other hand do support the plugin. So if you love using the web player and are a Safari users, you unfortunately have no other choice than to switch browsers, at least to use Spotify. In addition to Chrome versions from 45 on, Firefox v47 onwards, and Edge version 14 and later, Spotify web player can be used on Opera (v32+). Spotify has not been able to answer whether it'll bring the web player to Safari in the future. That probably depends more on Apple. What a dilemma hey. Though I notice that when bloggers mention browsers, Vivaldi is never mentioned. Does Vivaldi fall under Google Chrome, Mozilla Firefox, and Microsoft Edge category of browsers when you mention that users should use any of the above mentioned to have Spotify working for them. Vivaldi uses the same browser engine that Chrome uses.